Salespeople too often feel like they’re flying blind. If you’re making low-yield cold calls and having a hard time trying to find the right decision makers to talk to about B2B sales, and you feel like you’re not getting results, that probably means you need better sales intelligence. What is “sales intelligence?” Broadly speaking, sales intelligence includes any information that can be useful to improve sales effectiveness – anything that sales people need to know about their target market, the industry, the prospect’s business, the decision makers, or recent changes within the client’s business that might make a sale more likely. Sales intelligence helps sales people spend more time selling and less time doing the legwork and research involved with tracking down data and finding phone numbers. Sales intelligence gives sales people the power to do more of what they do best, while also creating better quality sales leads and making a more efficient lead generation and lead nurturing process. Sales intelligence helps you know your customers better so you can hit the ground running with better informed, more constructive conversations and build trust faster. A recent report from the Aberdeen Group titled Sales Intelligence: What B2B Sellers Need to Know Before the Call, found several persuasive reasons for why business intelligence can make it easier to close sales. 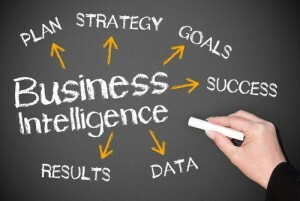 What about salespeople who do not use sales intelligence? These sales people, according to the Aberdeen Group study, spent an average of 200 hours per year on non-selling related activities – such as tracking down data, finding phone numbers, and planning to make sales pitches. Sales intelligence makes it easier and faster for salespeople to do their jobs, and arms them with information they need to have better-informed, more productive, more credible conversations with clients. The right sales intelligence can show your salespeople which companies are the best fit for your solution, it can help you find prospects who are most likely to be ready to buy from you, it gives your team detailed strategies for how to approach each company or each type of decision maker, and it helps your sales people understand the customer better. There’s always a learning curve with finding a new customer. Better sales intelligence makes that learning curve less steep. When sales people are equipped with updated knowledge and sound strategies based on data, they are able to sell smarter. Better quality sales leads, better-informed conversations, and better relationships with prospects are all going to lead to better sales results. Stop flying blind. Better sales intelligence can give you the strategic vision to uncover better sales opportunities. Are All Lead Generation Companies the Same? How to make your inbound lead qualification process fail-proof?